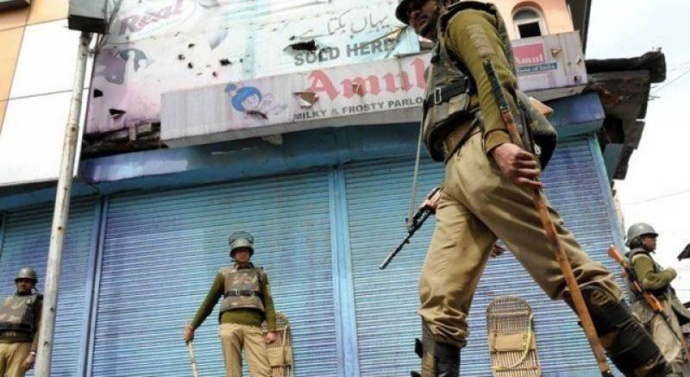 SRINAGAR: Two gunmen opened fire Tuesday in a hospital in India adminstrated Kashmir where a militant was brought for treatment, escaping with the high-profile prisoner and killing two police officers. A manhunt is underway after the attackers stormed the Shri Maharaja Hari Singh Hospital in Srinagar and opened fire on police guarding Naveed Jutt, a Pakistani rebel imprisoned since 2014. The trio escaped on a motorcycle and were still at large. Police have set up roadblocks and fanned out in search teams across Srinagar.